My first encounter with the humbleness of Dr Raman Singh, Chhattisgarh’s CM for 12 years, was sometime in August 2003. At that time, he had sacrificed his UnionMinisterial post to take over as head of Chhattisgarh’s BJP unit just because his party wanted him to do so following the refusal of Ramesh Bais to take over the position. 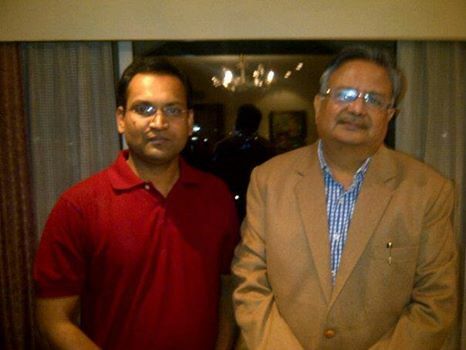 Dr Singh was sitting in BJP’s Raipur HQ, along with a senior journalist Rasik Parmar who was his PRO at that time. I didn’t go and insisted that he was the man to spend time with and learn more about the election trends. To be true, I had strong feelings about this bespectacled Ayurveda doctor whose humbleness contrasted sharply with his physical stature (standing taller than me - 6ft plus). He was completely novice with regards to facing television interviews. My gut feeling made me push him into buying a bandhgala. Dr Singh reluctantly agreed. And for Star News’ Kaun Banega Mukhyamantri I made his promo instead of Sai’s. In Mumbai, my Input Editor at that time Sunil Saini did not disapprove my inputs on CM candidature. After few months, Dr Singh became the Chief Minister of the state. He kept his promise and gave me his first interview as CM. Today, after three times of CMship, he rarely moves out of the camera frame while giving Tv interviews. When I look back I remember it took me more than 6 months to convince him to stay within the camera frame. Dr Singh is still humble in his approach and despite not reporting his news for more than 10 years – he still makes it a point to meet me whenever he lands in Hyderabad. On the morning of May 28, 2013, Tuesday, three days after Maoists ambushed a Congress leaders’ motorcade and killed 27 people, some media houses and journalists received a four-page press note and an audio tape statement. Debt burden, scanty rainfall and power woes force farmers to end their lives in the new state. 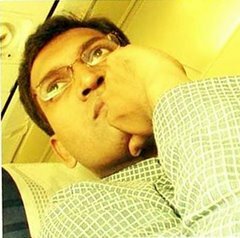 Wednesday, July 2 was the last day of Peraboyina Sampath’s life. That day, in the evening, he walked into his dusty field, gulped down some pesticide and waited for all his miseries to get over. The 32-year-old farmer worked in the near-barren farm at Seetharamapuram village under Parakala Mandal in Warangal district of the new state of Telangana. He was under a lot of pressure to pay back the debt of more than Rs2 lakh he owed to banks and money lenders. He had told his wife he would kill himself if the crop failed this time too. Next day, his wife found his body. 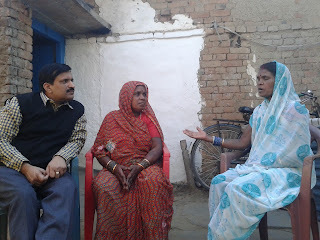 Now she has to take care of their son and daughter – with no means of income. Her only hope is some ex-gratia relief from the state government. Months later, on November 10, a high-voltage drama was on in the state assembly. The opposition was armed with accusations and the Telangana Rashtra Samiti (TRS) government was dodging the bullets of words. But 170 km away from the state capital Hyderabad, in a village panchayat of Cheriyal under Warangal district, Kanduri Illama could not stop her tears, watching on television the assembly discussion on farmer suicides. 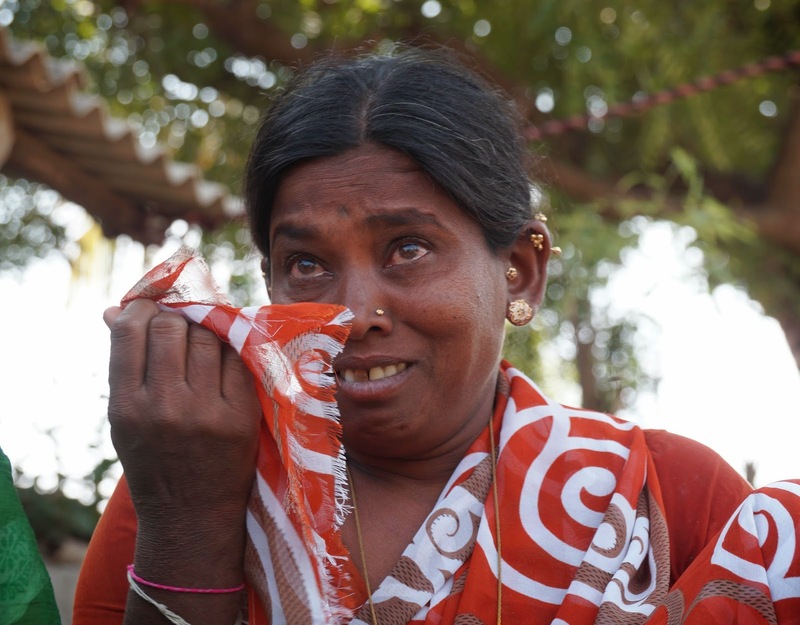 On August 11, this year, her husband hanged himself to death near an open well in their farm. Narrating how her husband Mallaiah, 45, committed suicide, a wailing Illama said her world came crashing down that day, and she did not know how she would raise her three daughters. Mallaiah had grown cotton and maize on four acres, but half the land failed to yield anything. 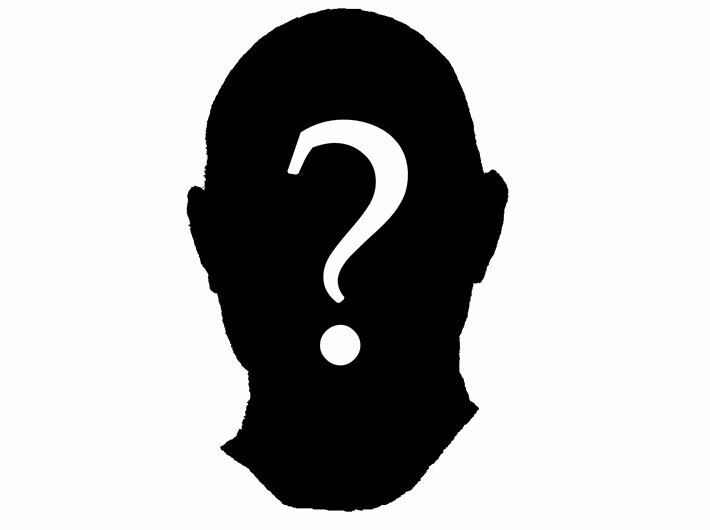 He had been borrowing money from local money lenders over the past few years. This year they all had great hopes of good rains and good harvest. But all their hopes and efforts went in vain, Illama said. Their eldest daughter, Rajitha, was married early this year but was sent back after her in-laws’ dowry demands could not be met. Bhavani, 18, is a BCom student, and the youngest daughter is in Class 9. Bhavani said two acres of the land belonged to her father as a joint property and it was not registered in his name. So he could not avail loan against it from a bank. 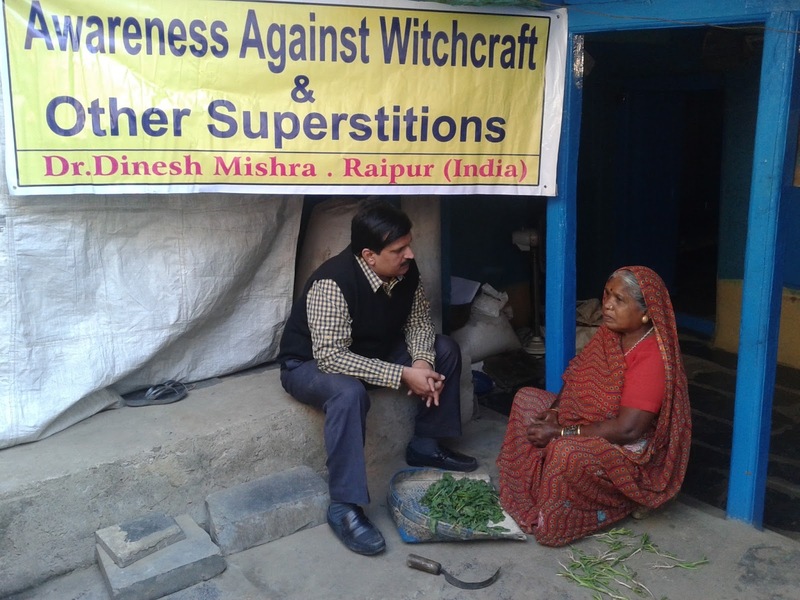 He was forced to turn to small-time money lenders for help. His total debt was '4 lakh, and interest on it was piling up. Now, Illama and her daughters are forced to do petty work in the neighbourhood to survive. Two of the daughters have to earn their daily bread instead of going to college or school. The same story of a failed crop, huge debt, and the ending of one’s life is replicated across the state. In Angadipeta village of Chandur Mandal in Nalagonda district – 160 km from Illama’s village, moneylenders’ threats pushed Maragoni Venkataiah, 45, to take his life by hanging himself from a tree on his farm. He left behind his wife, two teenage daughters and a son without any livelihood. 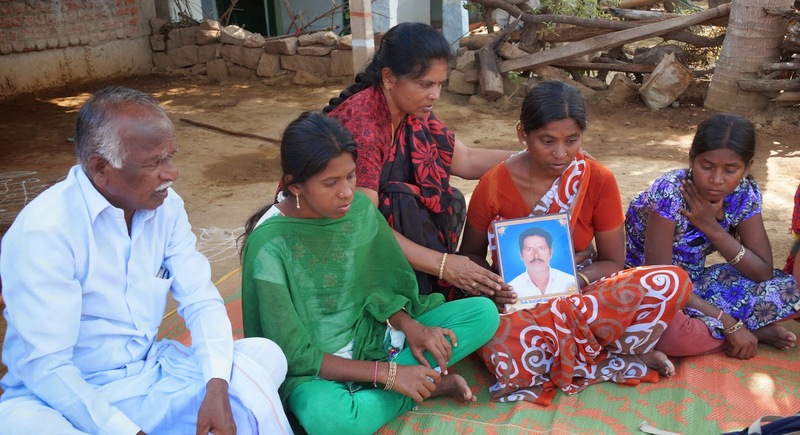 In Damara Cherla mandal, Malothu Ravi consumed pesticide when his wife was away to bring their two school-going sons home. Ravi had invested Rs 2.50 lakh but the crop failed. On the same day, Vangari Anjaiah of Maripadi village in Gundala mandal was also found hanging from the ceiling at his home. In Chadari village of Raupet mandal, Rajaiah, a 42-year-old maize farmer, ended his life by consuming pesticide. B Narasimha Rao, joint director, agriculture, said the farmers of Rajupet and Alair mandals had taken up maize cultivation in about 2,000 hectares, but most of the crop had withered away due to scanty rainfall. Despite the recent rains, the district recorded 50 percent deficient rainfall during the southwest monsoon, leaving the farming community in the lurch. 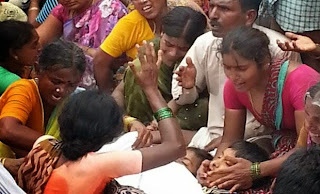 The two most affected districts of Telangana – Warangal and Nalgonda – witnessed an alarmingly high number of suicides during this Kharif season. The primary reason for their plight is crop failure due to poor rains coupled with a nonexistent irrigation system and debt burden. Farmers take loans to meet healthcare, education and marriage expenses at high interest from private lenders, hoping to pay it all back after one bumper crop. But monsoon failures and the absence of any crop insurance scheme make suicide the only exit route. Another factor in this unfolding tragedy is the system of tenant farming, which is widespread in Telangana. Farmers typically own one or two acres of land, but take more land on rent from landlords. Krishnaiah, a tenant farmer in Karimnagar, had no agriculture land. He used to lease farmland in his native village. This time too he took four acres of land on lease but his crop failed because adequate power was not available. In the process, he incurred debt to the tune of '2.5 lakh. Unable to pay back after the crop failure, he consumed pesticide and committed suicide on September 23. “A majority of the victims are tenant farmers who pay very high interest rates to lease land, often paying up to '10,000 per acre per season. When their crop fails, they are left in debt. 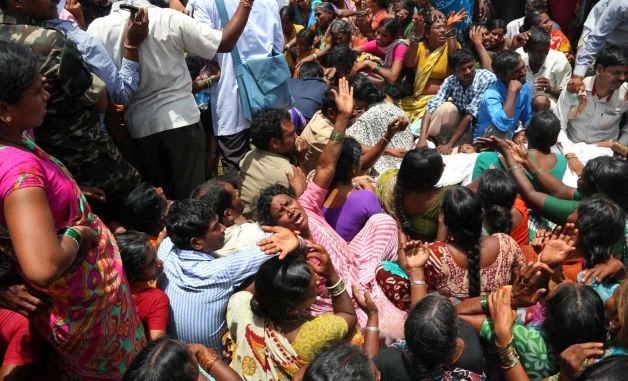 With private financiers hounding them, they take their own lives,” said RTI activist B Kondala Reddy who is associated with Rythu Swarjya Vedika, and Caring Citizens Collective, an NGO. Agriculture department officials said cotton and chilli farmers have been hit hard, because of unseasonal showers and lack of sufficient rainfall. They said the rainfall in Warangal was 31 percent below normal this year. As a result, the groundwater levels in the district went down to 8.06 metres this September, compared to 5.07 metres last September. The situation is the same in Adilabad with 29 percent rainfall deficit and Nalgonda with 38 percent less rainfall. In Medak district, there was only 44 percent rainfall, putting thousands of paddy, cotton and sugarcane farmers in distress. Officials said since agriculture in Telangana is predominantly dependent on bore-wells, depleted groundwater levels coupled with power cuts have hit farmers hard. 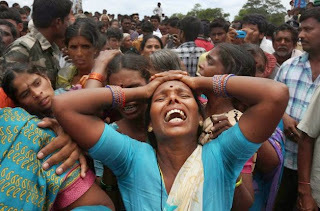 Death by numbers While the government pegs the total number of farmer suicides at 79, the grassroots organisation Rythu Swarajya Vedika and the opposition Congress’s farmer wing Kisan Congress put the figure at 350. M Kodanda Reddy, chairman of Telangana Kisan Congress, called the government estimates “bogus”. Telangana Pradesh Congress Committee president Ponnala Lakshmaiah said, “Police records say 318 farmers committed suicide in Telangana in the past four months. On the day of Diwali alone, 14 farmers ended their lives but the CM is feigning ignorance about it.” Agriculture minister P Srinivas Reddy blamed the previous Congress government for the plight of farmers. “The previous government did not create proper irrigation facilities nor has it bothered about the welfare of farmers. The farm loan waiver of the TRS government will aid the farmers immensely,” he said, when asked about the alleged suicides. P Srihari Rao, a social activist who has filed a public interest litigation in the Hyderabad high court seeking help for the distressed families of farmers who have committed suicide, says, “The government should treat this as more than a national disaster. It should declare an agricultural emergency in Telangana. Unless public and private loans are waived and some confidence-building measures are taken, suicides will continue.” Soon after assuming charge the TRS government under chief minister K Chandrasekhar Rao announced a scheme to waive crop loans and gold loans up to '1 lakh for farmers. The government said waiving the loans of 3.9 million farmers would put a burden of '17,000 crore on the state coffers but it was ready to take it on, as it was an election promise. However, this applies only to bank loans, and brings no relief to the farmers facing heat from private money lenders. Also, farmers continue to suffer from power crisis, which needs to be resolved to let them breathe easy. SIXTY TWO kilometres from Telangana state capital in a small village in Medak district on Wednesday morning Jatkula Yadgiri was doing his routine job. Seeing off his three children to school before leaving for work. Little did he know that it was the last time he was seeing them. 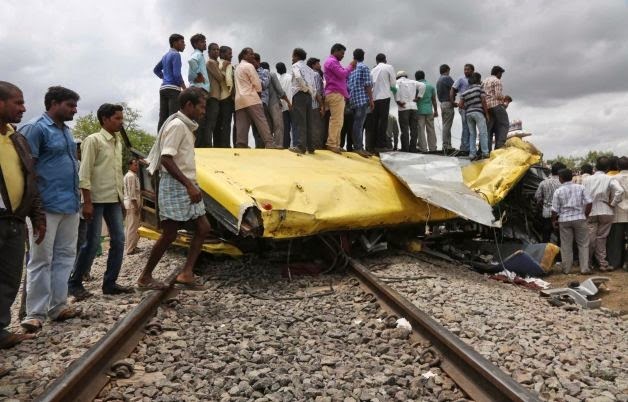 His three children Sirisha (8), Divya (6) and Charan (3) were in the ill-fated school bus which met with an accident when a train heading to Secunderabad from Nanded rammed into it killing fourteen school children. All of them were primary students. Yadgiri recalled," how he had a chat with his eldest daughter last night.accident. , Yadagiri recalled," how he had a chat with his eldest daughter last night. We just got a call from the hospital informing us about our son’s death,” he said as he burst out into tears. He had got a call from Sirisha’s headmaster who complained of her not finishing her homework but was performing well in school. “She assured me that she would give her best henceforth,” he said weeping uncontrollably. “She asked me not to worry and judge her only by her grades,” he added. Yadgiri is a lower-middle agricultural labour. “Despite my low income, I sent my children to a private school as they were my most precious assets,” he said. While Sirisha wanted to become a teacher, Divya a doctor, his son Charan dreamed of becoming a policeman. “I often wondered how I would be able to provide so much for them. I had taken loans from many people to ensure good education for them. There were times when people barged into my house demanding money but it never perturbed me as the only thing I ever had in mind were my kids,” the bereaved father said. He recalled how Charan was delighted when he had brought Khajoor (dates) instead of the usual bananas. Yadgiri, however, had anticipated the mishap. “My children often complained about the rash driving of the driver. Even I had gone to their school and lodged a complaint many times and requested the management to do something about the crossing. At least now I hope they do something about it,” he regretted. While Yadagiri and his wife are at their house mourning over the bodies of their two dead children, their eldest daughter Sirisha has been brought by some relatives to the Yashoda hospital in Secunderabad for treatment. She is in a deep shock and does not know that her younger brother and sister are no more in this world. Her only concern is to get well and return home and play with her siblings, according to Satyalaxmi, a relative, who is looking after her in the absence of her parents. “We are having a tough time convincing her that her brother and sister are safe. We told her that they both are outside the hospital and that very soon she can meet them. She believed what we said. But I don’t know how to handle the situation once she knows the truth. “I don’t know how many years it will take for the family to recover from this shock of this tragedy,” she said with tears in her eyes. Harish, a four-year- old LKG student lost one leg in that train accident. He is safe and now being treated. His uncle Srikanth was seen trying hard to console his family members at the hospital. When asked about the condition of Harish, he said: “I can never see my nephew walking again. He lost his one leg, and the lower part of his body was damaged. In 1972 Mukkaram Jah saw some disquieting writing on the wall- the abolition of privy purses to princes and maharajas – he decided to look to other countries and lifestyles for his future. Researching into some journals of 1980s and rare interviews to Hugh Schmitt. One can get into the mind of the last Nizam of Hyderabad on why he selected Australia as his next destination. Why the down under - “I wanted to retain my individuality, and knowing and respecting Australians as a nation of individuals, I decided to come here. But I chose Perth quite by accident, “ Mukkaram Jah told an Australian newspaper 12 years after he landed in Perth. After he was told about Government of India's stand on the rulers – Mukkaram sitting around with a personal assistant at his Chiraan palace in Hyderabad was discussing his next move. Suddenly he remembered he had two friends in Perth. Both doctors whom he met at Cambridge. Next week he was on a flight to Perth. Jet landed at Perth at 2 am – and Nizam suddenly wanted to go ahead to Sydney rather than visiting Perth. His assistant made him stay in Perth. He was booked into the Transit Inn about 3 am on Sunday morning and at 12:30 pm he walked into Pier Street. Easy going life with clean and uncrowded city – was the punch to Nizam to stay here. That's how his long association with Western Australia began. People in the region respected him and he made it sure that they addressed him Jah rather than Prince Jah. Mukkaram loved the sea – not the sea between Fremantle and Rottest, but the open sea.” “I once sailed my yacht Kalbarrie from Fremantle to Port Moresby, which is more than a trans-Atlantic crossing,”he said. He was dismayed when the Federal customs department ordered his 300 tonne converted US minesweeper Kalbarrie to leave Success Harbour in 1982 because it did not conform with Department of Transport Regulations. 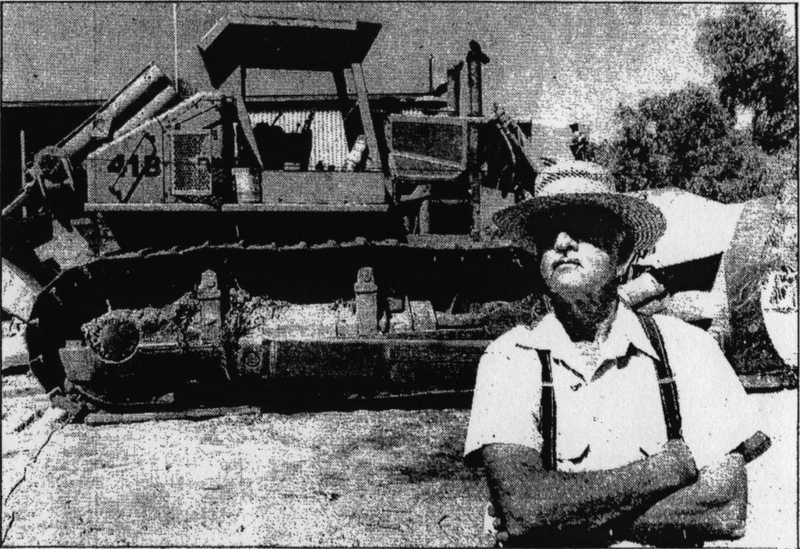 In Western Australia he is known as a sheep farmer who liked to tinker with heavy machinery and ride motorcycles cross-country on his 200,000 ha station called Murchison House, which is near Kalbarri. He always was in the offence whenever someone spoke about his grandfather reputation as a mean man who smoked discarded cigarette butts, despite an annual income of more than $500 million. He responded strongly - “Seventh Nizam was not mean. He might have been frugal in his own way but what is frugality,” he would question. Mukkaram never directly spoke to his grandfather. “ I never spoke to him directly,” he recalled – I was in his presence, but spoke to him through a chamberlain. “My grandfather would ask to the assistant: Ask my grandson how he is doing at school,' and he would ask me the same question. Born in France of a Turkish mother, he made it clear that he is more Turkish than Indian – and he looks to it. He avoids media. Because he doesn't want any publicity. 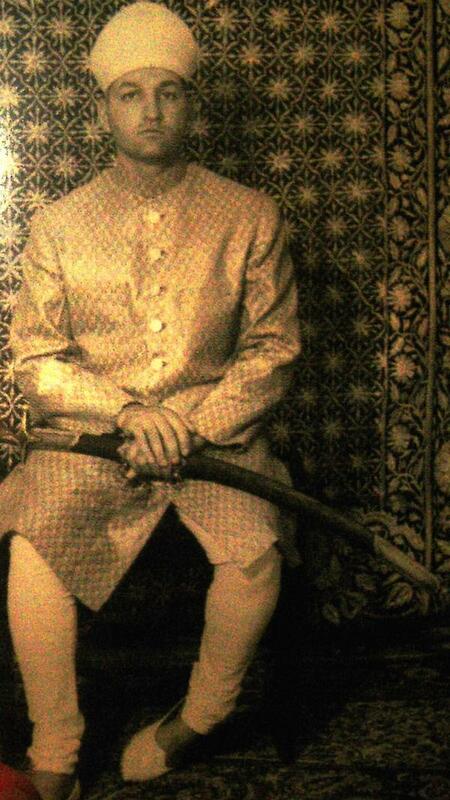 He knows that he is the Nizam of Hyderabad and that's all matter. NEXT: On his wives and controversies.